[3 CEU HRS] Balance and the Core Integration – From Low back pain to Fall Protection and successful aging. Posture is how you balance your body, and weakening balance has real consequences for health and mortality. Research shows balance and coordination exercises improve back pain, in addition to reducing the risk of injury from a fall – a real risk for aging boomers. Yet postural balance training is a sorely neglected facet of many exercise programs. Module 4 progresses B.A.M. StrongPosture® retraining with progressive core integration, with an emphasis on successful aging. Bench-marking static posture and dynamic balance sets the bar for comparison and measurable improvement. Especially for sedentary workers and the aged, restricting structure (posture) into flexion for a significant part of life has a real effect on how we move all the time… and on how we function all the time. 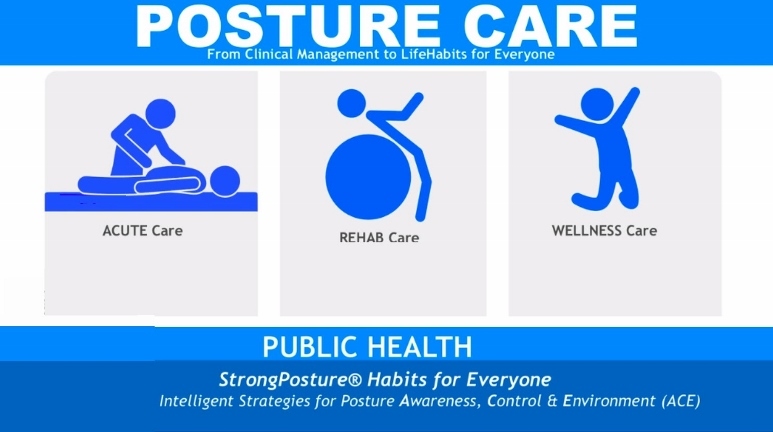 You’ll learn why and how strengthening posture as people age not only rehabs injury, but can play a tremendous role to keep people moving well, and to keep on moving well as they age. DC / Chiropractor - Listed below by state/province. MT / NCBTMB - 15 CE approved. DACRB / ACRB® - 15 CE in rehabilitation associated electives. PT / PTA / AT / Personal Trainer - Contact us to verify. This course is sponsored by University of Western States (UWS) for 2019. The following is our understanding of current state law and approvals. Please check with your state board for any recent updates or changes to state law and continuing education requirements or approvals. University of Western States is recognized by the PACE program of the Federation of Chiropractic Licensing Boards. PACE #5260. University is also a CCE approved college. You have 1 year to complete this self-paced course. Be sure to finish the course before your license renewal date. We’re here if you need help. Live chat, email or call to speak with one of our course counselors. The course is an engaging video format. You may complete as much or as you like on each visit. When you login next time simply pick up where you left off. © Copyright 2019 CESoup. All rights reserved.